Wondering about what you can do to extend your life and age healthfully? Start running. The benefits of running are well documented. 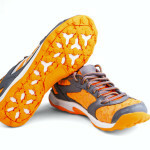 What’s more, running is easy to do and requires no special equipment other than good shoes. 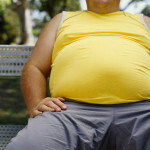 If you have never run before check with your healthcare provider to be sure you are healthy enough to hit the pavement. Running at a moderate pace increases lung function and boosts your immunity. That means you may get fewer colds. You can also enjoy better overall health. Running has been shown to raise your good cholesterol and lower your risk of diabetes. Running can reduce your chances of getting some types of cancer. You may also be less likely to have heart disease, high blood pressure or a stroke. Runners know that a bad day quickly slips away when they lace up their shoes and head for the road. The reason for this is that running encourages secretion of hormones called endocannabinoids. In fact, running regularly has been shown to be just as effective as anti-depressants for treating mild depression. Get these feel good benefits with a running program of just 30 minutes most days of the week. When you do you will find that you sleep better and have less anxiety, too. If you are looking for a stress busting strategy that can help you stay slim running is it. Running burns calories and fat. Maintaining a healthy weight is an important way to avoid chronic illness. If you have never run before, don’t worry, getting started is easy. 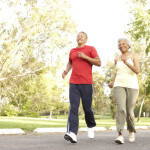 Begin a regular walking program and add a few seconds of running each minute. Increase the amount of running time as you build stamina. In the beginning you might run 10 seconds of every minute. With time you can increase to alternating one minute of walking with one minute of running. Before you know it you will be able to run for 30 minutes. Stick with it and be patient with your progress. The health benefits will be well worth your efforts. Does Jogging Help You Live Longer?